I know it's summer, but gosh it's hot today. 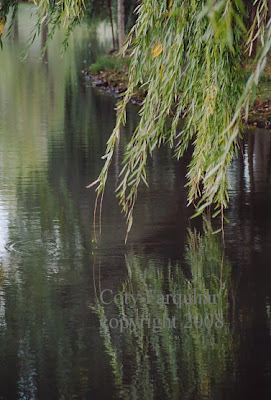 I am longing for winter and our Southern Highlands mist that comes across in the evening. 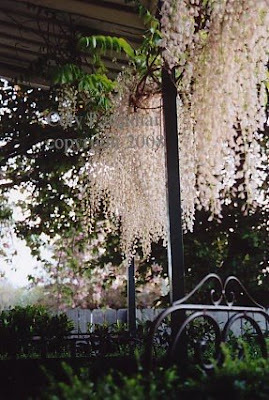 This beautiful veranda covered by white wisteria is the home of an amazing local girl and clever gardener Rhonda Schrader. Some people just have a knack with growing things, others know how to plan a garden and where to put the trees and plants. Some have beautiful objects, antique urns and sculptures to create an interesting garden. Well Rhonda has all this and more in her gorgeous little garden close to town. 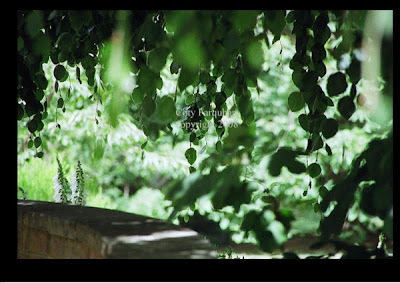 Shade is so important for us to live outside and enjoy our gardens on hot summer days especially in Australia and also for the plants that happily live under the canopys of large trees. If I was a plant I think I would like to live under this beautiful old tree above. Look at the pretty little round leaves hanging down over the old stone wall. 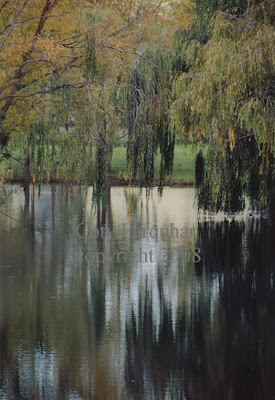 This lake with all the willows is one of my favourite gardens in Bowral. Two lakes are joined to together by a little stream that runs between them. Romantic and cool and I wish I was sitting there right now with a cool drink and a soft pillow. This beautiful shady garden seat is covered with clematis that has been woven up and over a metal arch. How simple and clever and what a lovely spot to sit and ponder. 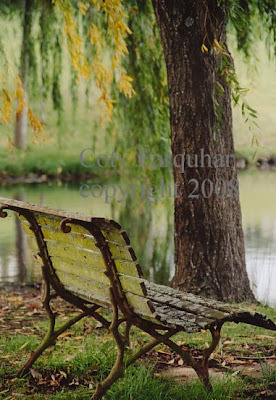 Can't you picture a bride sitting here on her wedding day. This is yet another garden in the Southern Highlands. As I mentioned last year I have many plans for 2009. 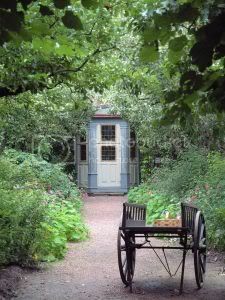 One is a blog just devoted to the beautiful country gardens around Australia and especially in the Southern Highlands where I live, all private garden and very beautiful, each very different in their own way. It's nearly ready, this is just a sneak peak into some of my images for my new blog. It will be filled with inspirational ideas for both large and small gardens. Seasonal treats and gardening treasures. Ah, I can hear thunder in the distance and here comes the Highlands mist. Such strange weather this week. I'm off to open all my doors and windows and let the cool air flow through my house. Looks like we will be sleeping soundly tonight. Coty, your photographs have made me long to see it all in person! Just so beautiful, and you create photographs like other artists create a painting. Our garden is in the winter mode, so seeing all these lovely plants and flowers is so inspiring. thank you. Lovely pictures - again.... 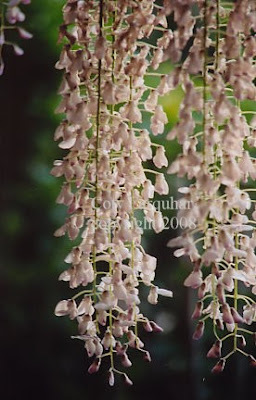 The White Wisterias just looks unbelievably like a dream. You are welcome to swap places with me. Stockholm has -5 celsius and a bit snow today.